The Mayor of London has issued draft supplementary planning guidance (SPG) for public consultation on The Control of Dust and Emissions during Construction and Demolition. This draft document contains guidance on the implementation of the London Plan policy: Improving Air Quality and other policies on environmental sustainability, health and quality of life. It provides advice on: the preparation of Air Quality Statements for construction and demolition activities, including dust risk assessments; the work stages that the Air Quality Statement should cover: demolition, earthworks, construction stages and trackout i.e. 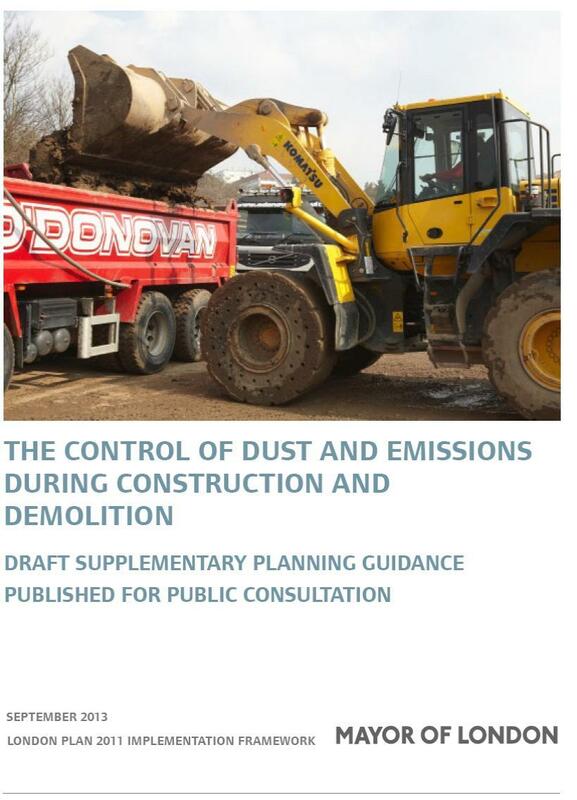 vehicles leaving the site; the identification of the potential scale of dust emissions for each stage of work; the risk associated with the scale of dust emissions on health, soiling and the natural environment taking into account activities, their intensity and receptor sensitivity; best practice methods for controlling dust on-site and to prevent trackout; recommendations for monitoring; and the notification of new standards for non-road mobile machinery. Southdowns staff have considerable experience and expertise in the management, monitoring and assessment of dust and air quality risks from demolition, construction and minerals projects and will be happy to advise interested parties on the potential implications of any new guidance on pipeline projects and other developments. For further advice and discussion on Southdowns capability and experience in the field of dust and air quality monitoring and management please email adg@southdowns.eu.com or enquiries@southdowns.eu.com.